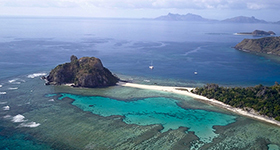 Charter destinations that generate a lot of interest include Fiji, the Balearics, and the US Pacific Northwest. 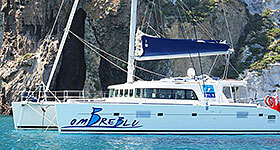 01/22/14: Three of the nicest Gulets offering 20-30% discounts for charters booked before Jan 31, 2014. 08/20/13: Summer is in full swing with Fall hot on her heels and charter yachts and crew are keen to fill in their schedules. Chartering in the Western Mediterranean includes beautiful buildings and culture along with wild and secluded bays ideal for swimming and water sports. 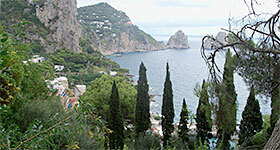 A seven day charter cruising the French and Italian Rivieras. 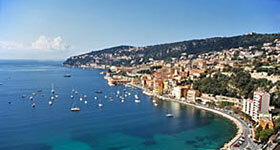 Enjoy the Cote D’Azur along the way. 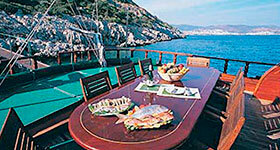 In general, the Western Mediterranean is well developed in terms of yacht charter. There are many bareboats and crewed yachts available, and the services and infrastructure ashore are generally quite good.